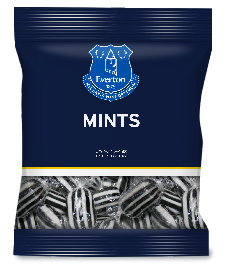 These really classic Mints are produced and specially packaged for Everton Football Club. Only natural colours and natural flavours are used with no artificial additives. Sugar, Dextrose, Flavouring, Natural Peppermint Oil.